Malta’s two estate agency lobby groups have taken digs at one another as infighting in the industry reaches boiling point. Members of one of the two groups, the Estate Agents Section (EAS) within the Malta Developers’ Association, have claimed that the other group, the Federation of Estate Agents, is a one-man show which did not represent operators in the sector. Douglas Salt, a former member of the federation who today forms part of the new MDA branch, told the Times of Malta that the federation was making “sweeping statements” without consensus of industry players and without the backing of sound research. The EAS was set up in February last year, with a vast majority of the FEA’s members having quit that organisation to create a new one under the auspices of the MDA. “The federation isn’t a federation at all. It is today made up of just one member, Simon Debono of Simon Estates, who calls himself the general secretary,” Mr Salt said. Contacted on Wednesday, Mr Debono said the claims against him were part of a smear campaign meant to undermine his credibility. “Look, the truth is we are at war against government policies which are forcing a substantial part of the Maltese population into poverty,” he said. Mr Debono would not say who else was in the federation’s top brass, telling the Times of Malta that it would have to become a real estate agency and fully-fledged member to be entitled to that information. Nor would Mr Debono divulge how many members the federation had, saying only that there were “several” and that seven new members had signed up since the end of the holiday season. 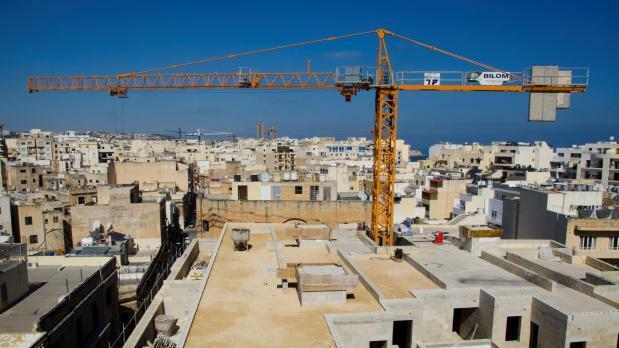 “If the Times of Malta wants to be used to undermine an organisation which is fighting the collapse of the housing market, then go ahead, but we will not stop doing what we believe is right,” Mr Debono said. The veteran agent has hit the headlines in recent years as he repeatedly raised the alarm over spiralling housing costs. Two months ago he made a splash with claims that he personally knew of some 2,000 people living in garages who “wear jackets and ties and go to work every day”. The section of the Malta Developers Association immediately issued a statement strongly condemning Mr Debono for having touted the figure during a conference on rental affordability. Hitting back, Mr Debono himself raised doubts over a study commissioned by the MDA which had indicated that the island was not facing a risk of a housing bubble. “Mark my words, this is a bubble, it is not sustainable and we will regret it,” Mr Debono said.